In this section the Zohar explains the effect of our spiritual connection on the body. When we (men) cover ourselves with a Talit טלית, which is a prayer shawl, we establish a connection from Zeir Anpin to Malchut. The letters טל, mean ‘dew’ and refer to the letters YHV of the name in the spelled form of Zeir Anpin, יוד-הא-ואו. The letter י represents the Light and the letter ת , which is the last letter of the Alef-Bet, is for Malchut. A white Talit is the aspect of Chessed and a throne is a ‘connector’ to the Light that is above the level below it. Putting the Tefilin of head and hand is a full connection to the YHVH name from the upper level of Chokmah (world of Atzilut , Head) and Malchut (world of Action, hand). The image of God, which is the Tree of Life, exists in our body. We were made from fields of energy. We are considered a ‘small world’ and the different body parts are part of the system. Everything that we do with our body affects the spiritual system that we have. God gave us the power to control all that was created for us. Job learned that his soul is a complete spiritual system and shared that knowledge with us. He didn’t say “with my eyes I see God” or “from my heart I can feel God”. He refers to the body as the point of view to see and understand God. Job understood that his sufferings were just different levels of cleansing process. His soul held the body (fields of energy) together and his experience purified it. After he finished the process of cleansing he climbed to higher levels. Whatever experience we go through life, especially the pain, is our soul cleansing. It is not a punishment from God, it is a blessing because our stay on this plane of existence is only temporary and was created for us to have the opportunity to grow a better and purer soul. All that is around us is just tools to be used for our elevation process. Rabbi Shimon fulfilled his mission in life by living in a cave, eating carob fruit and water to sustain his body to keep the study and revelation of the Zohar. The Holy Ari, passed away at age 38. He had physical sufferings and experienced a loss of a son. 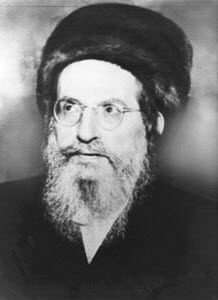 Rabbi Ashlag had a weak heart and Parkinson or something similar that limited his ability to write. Your body is your working clothes. When you get out of them or when the ‘big boss’ say work is over, then you can enjoy the fruits of your labor. Until that time, keep working.